AZMEX LLC is a full service precision injection molder and contract manufacturer operating in the United States and Mexico. 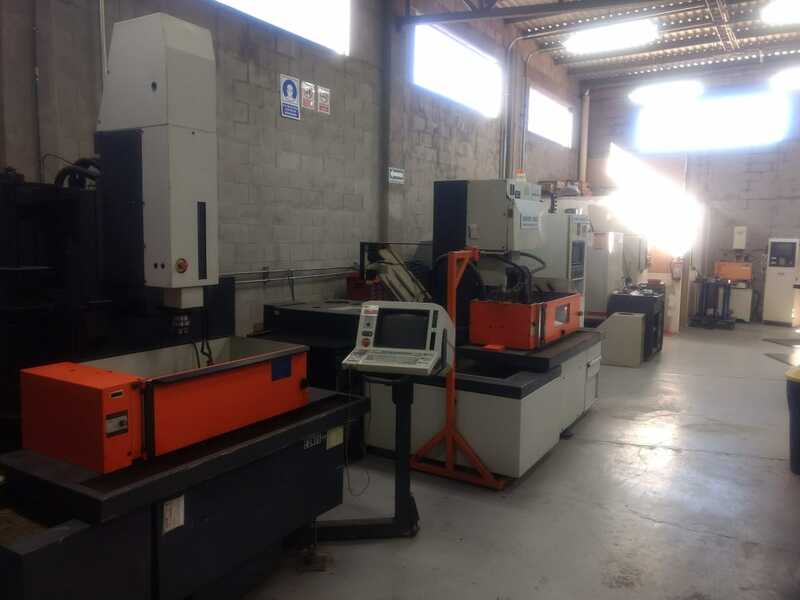 With offices in Nogales Arizona and manufacturing in Nogales, Mexico, we offer rapid broad basedcost aggresive services just minutes from the USA - MEXICO border. With uncompromised commitment to quality and continuous improvement, we strive to meet or exceed all of our customer requirements. With a core calue service before self, it is our philosophy that we only exist for our customers, and thet every customer should receive our utmost attention and care. We take pride in our awareness of the calue of our clients. 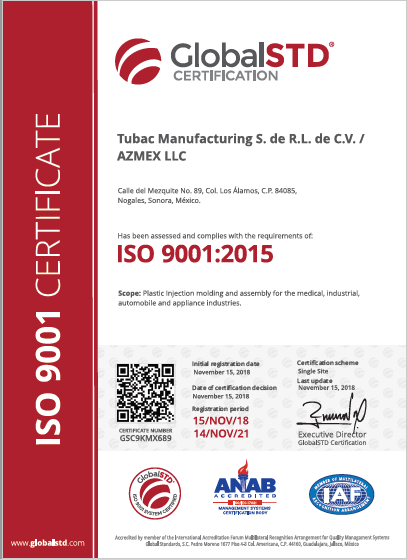 AZMEX LLC, is currently ISO-9001:2015 CERTIFIED. We provide services to a variety of FORTUNE over 1000 COMPANIES. Operating since1982, we are a closely held stable company. We welcome the opportunity to quote your requirements, whether is a prototype, short, or long run application. Work constantly to achieve an image in the international market as the best modeling company. Generate growth and profitability for our company, and establish lasting and equitable relationships with our customers, suppliers and the community. To satisfy the needs of our customers in the area of molded plastic manufacturing, offering a quality service that meets and exceeds their expectations, committed to continuous improvement in our processes, as well as the development and well-being of our employees. “Integrity, Respect, Compliance with commitments and laws at 100%, Focus on customer satisfaction, Honesty”. 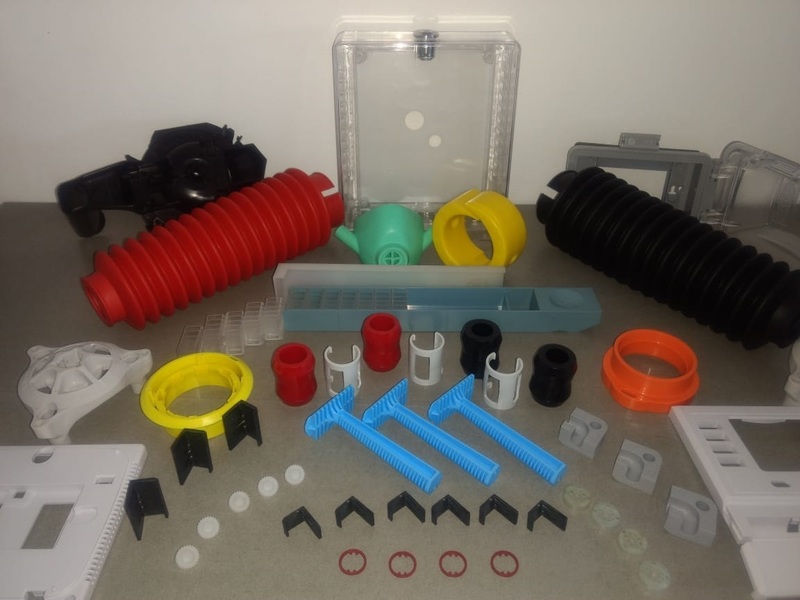 Azmex Plastics is a global, high precision injection molder that provides single source responsibility for molded plastic components and assemblies. All of our standardized facilities are designed for low cost manufacturing with automated material handling systems, quick mold change systems, and automated finished goods conveying with sprue or part removal robots on same machines.